Was that field trip worth the trouble? On Monday a homeschooling mama and I chatted about her recent mama’s day out to an art museum. As she and a friend made the long drive home, they talked about taking their children on such an outing. I think you will appreciate their insights. The idea of a field trip is much easier than actually carrying it out. 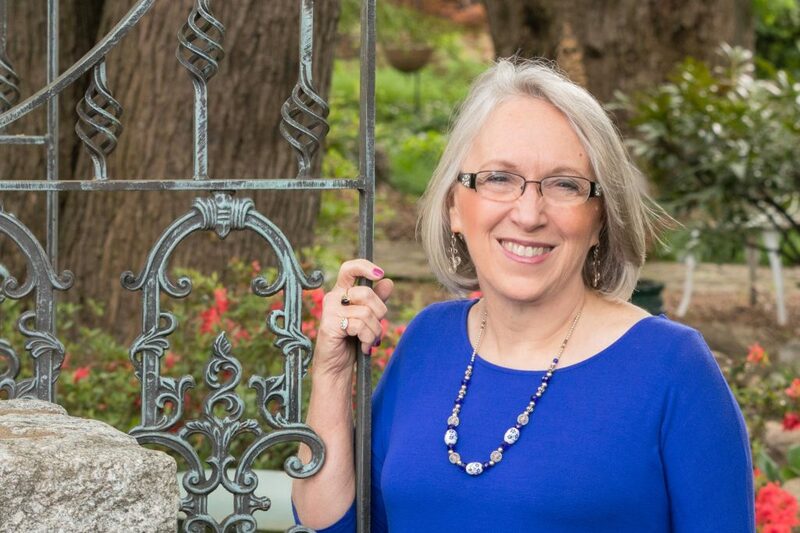 Schedules to juggle, faces to wash, clothes to lay out, shoes to tie, lunches to pack, children to corral and get out the door can make a mama so frazzled that she wonders if it was really worth the trouble. And what about the actual experience in say an art museum? The children may seem more interested in climbing the marble stairs, pushing the elevator button, wiggling on the benches, and whose juice box gets opened first at the picnic table out back than the paintings. 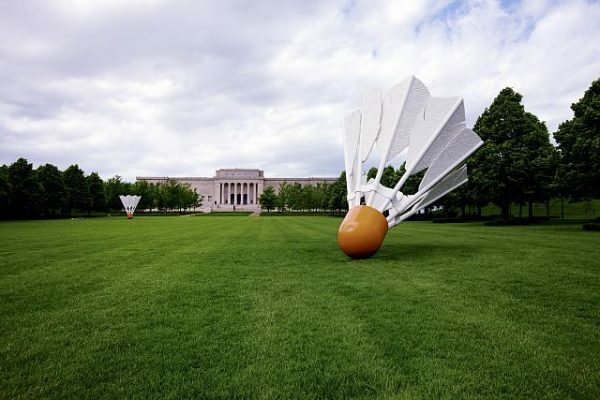 Shuttlecocks by Claes Oldenburg and Coosje van Bruggen on the lawn of the Nelson Atkins Art Museum, Kansas City, Missouri. Courtesy Carol M. Highsmith’s America, Library of Congress, Prints and Photographs Division. So, is it worth it? Absolutely. I am sad to have to add a warning here. As valuable as I believe it is for children to experience art, it is a good idea to preview an art exhibit before you take children. Not every painting or sculpture is appropriate for little eyes — or big eyes, in my opinion. For example, right now I am itching to see an exhibit of French Impressionists and British art at a nearby museum and to share it with as many of our grandchildren as we can, but I know I must go there first to preview it before I risk their little eyes and hearts. I am confident it will be worth taking them, but I want to know if we need to steer clear of certain sections before we go. But back to the positives of going to an art museum. The key word is value. The experience is valuable on many levels. You are saying many truths to your child. Art is important. That is why we are getting dressed up, driving a long way, and spending money to see it. People believe art is important enough to build and operate art museums. People believe art is important enough to place it in buildings with marble stairs. You, my child, can accomplish powerful things. You can push a button that makes the elevator go up, taking many people to an important place. You get to wiggle on a bench where people drink in the beauty of paintings. People who create beauty are worthy of honor because they create works that give other people joy. 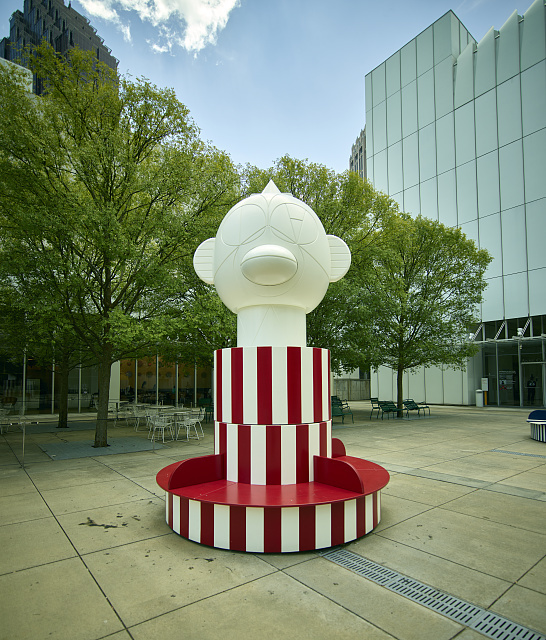 Whimsical sculptural seating at the High Museum of Art in Atlanta. Courtesy Carol M. Highsmith’s America Project in the Carol M. Highsmith Archive. 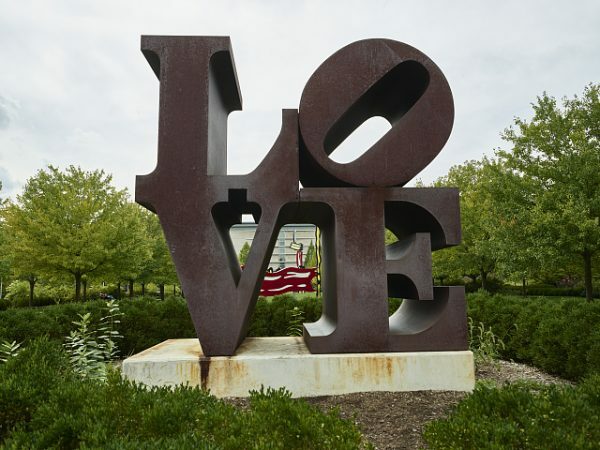 LOVE sculpture by American artist Robert Indiana, at the Indianapolis Museum of Art. Courtesy: Photographs in the Carol M. Highsmith Archive, Library of Congress, Prints and Photographs Division. Even a young child can enjoy an art museum experience. A few specific objects, such as a doll, apple, sword, or barn. People doing certain things — farming, dancing, reading. Two of his or her favorite colors. People doing things alone and together. Things that God made and things that people made. 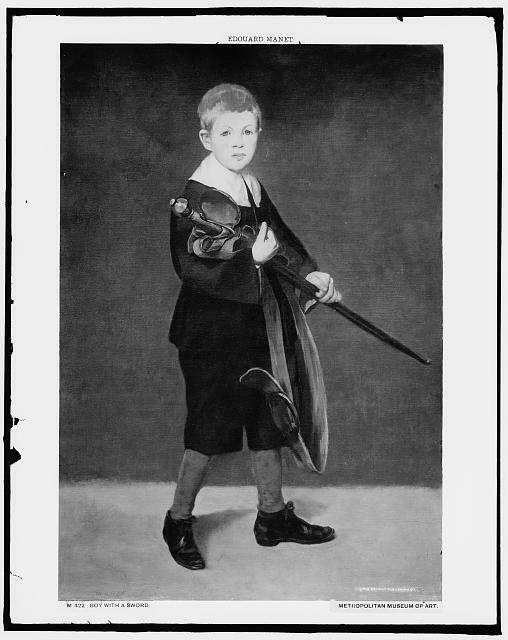 Photo of Boy with a Sword by Édouard Manet at the Metropolitan Museum of Art in New York City. Courtesy Library of Congress. Walk into a gallery and ask your child to take you to a painting or sculpture of his or her choice and tell you about it. Sit on a bench and look at a painting from far away and then go close. Talk about the differences in what you saw. Don’t worry if you don’t see every painting. 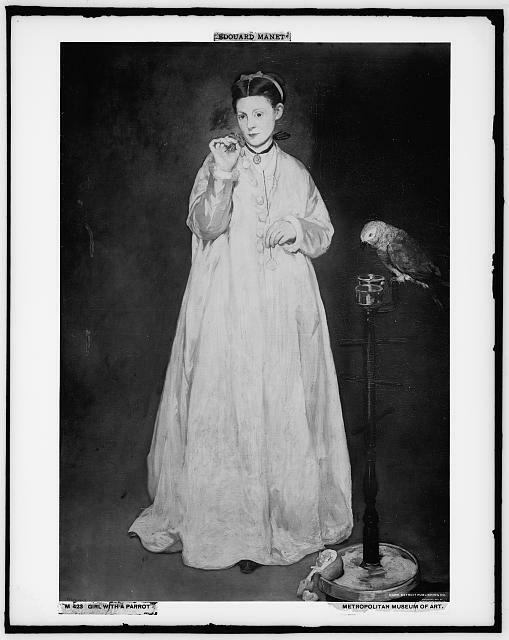 Photo of Girl with a Parrot by Édouard Manet at the Metropolitan Museum of Art in New York City. Art museums and other field trip destinations give you unique opportunities to teach the way that God told the Israelites to teach their children. « You get tired, but God doesn’t. I love these ideas you share. They have the common theme of drawing the children into the experience, thus making it more interesting and meaningful to them. I used to do something similar when I took young children for long grocery shopping trips. I might hold up two apples and ask, “Which of these looks better to eat?” They would point to their choice, and I would hand them a bag and say, “Can you find me four more that look good like this one?” As we walked up and down aisles, I would describe something I wanted and have them find it and put it in the cart. They were less bored, behaved better, and learned to shop!